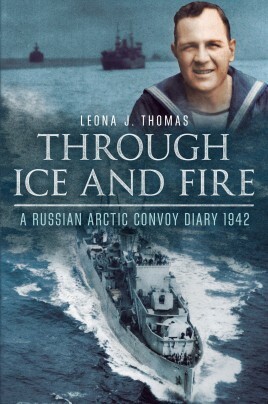 On the Russian Arctic convoys in 1942, Leonard H. Thomas kept a secret notebook from which he later wrote his memoirs. These contained many well-observed details of life onboard his ship, HMS Ulster Queen. He detailed observations of the hardships that followed when they endured being at action stations and locked in the engine room, under fire from the skies above and the sea below, and only able to guess at what was happening from the cacophony of sounds they could hear. Thomas tells of how the crew suffered from an appalling lack of food, the intense cold, and the stark conditions endured for weeks on end berthed in Archangel in the cold of the approaching Russian winter. There are also insights about the morale of the men and lighter moments when their humour kept them going. These stories can now be told as his daughter has edited them into an account that illustrates the fortitude and bravery of the men who sailed through ice and fire to further the war effort so far from home.